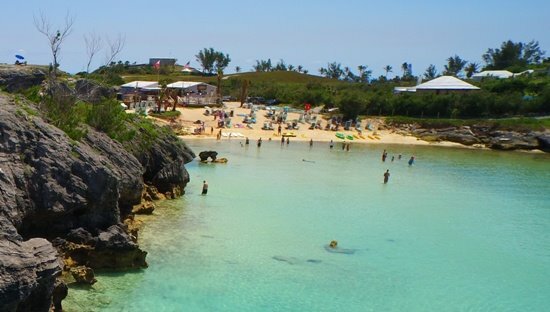 Tobacco Bay beach is located in Bermuda's St. George's parish and is one of the most popular beaches in the island. Locals say that the beach was so named because tobacco was found growing here many years back. This beach is one of our all time favorites for snorkeling. The water here is quite shallow and you get a fascinating view of the colorful marine life along with corals. However, this is not a pink sandy beach like the ones in south shore. The sand here is normal pale yellow in color. If you can time it right when the wind is from the south, you'll find some of the most sheltered spots in the beach with shallow waters, and ideal for snorkeling. We often found huge blue parrotfish, groupers, angelfishes, blue walruses and variety of other colorful fish at the Tobacco bay. Under the water surface you will see many reef structures with plenty of hogfish and sergeant majors. One of the tourists from our cruise ship told us that he had once spotted lobsters and snapping turtles just a few feet down in the waters of Tobacco Bay. Well, we weren’t all that lucky. Columns of limestone rocks of 15 to 25 feet high separate the bay from the open ocean. Near the rocks the water depth averages about 10 feet. If you swim through the rocks out into the open ocean, the water depth increases very fast and the water becomes murky due to silt. I won't advise you to do that. Some tourists have fun by diving off the rocks. I heard one saying that the view is awesome from the top of the rocks. But it's risky and certainly not for all. You may sometimes find the Tobacco bay beach getting quite crowded. This happens whenever there is a cruise ship in St. George. The beach gets full with the cruise ship passengers. The beach is quite small and when it gets crowded, you won't have any space to move. So check out the cruise arrival schedule before visiting Tobacco Bay Beach. Here is a snorkeling option that we have tried and works out quite nicely if Tobacco bay beach gets crowded. Instead of going to Tobacco bay, take a plunge into the nearby Achilles Bay and snorkel along the rocky shoreline, not towards the Fort St. Catherine, but towards Tobacco bay. Once you reach Tobacco Bay beach, walk back to Achilles Bay. Since 2014, Tobacco Bay Beach is managed by the private company Beach Boys. They have introduced host of facilities here including many beach & water sport activities. Facilities include beach bar & restaurant with open seating under canopy, bathrooms, rentals including sun loungers with umbrellas, paddle boards, kayaks, snorkel gears, beach towels, water toys etc. Locker facility is available. During summer (May to September) there is beach bonfire and live music on Fridays. The Beach Bar & Restaurant is open between 10am to 6pm daily (but till sunset on Fridays and Sundays). Food served is mostly snacks like burgers, chicken tenders, fries etc. Both food and drinks are quite cheap. The beach area is wi-fi enabled. There is daily live entertainment. Tobacco Bay is associated with an interesting story of treason which took place in the year 1775 during the early stages of American Revolution. A plot was hatched by the local Bermudians to steal and hand-over 100 barrels of gunpowder to American ships waiting offshore near Tobacco Bay which were transported to America to fight against the British colonization. Read The Gunpowder Plot to know why the Bermudians did so despite Bermuda being a British colony and what finally happened. First, go to the Beach Map to view the location of Tobacco Bay and other great beaches. Tobacco Bay Beach is located at St. George's. If you are coming from the Dockyard (Kings Wharf), take the orange route ferry for St. George. It takes only 35 minutes to reach the ferry dock at St George. However the orange ferry route operates between April to mid November only, has limited runs and not available on week ends. So check out the ferry schedule. From the Ferry dock walk up to the town center Kings Square (less than five minutes). While coming from Hamilton City, bus routes #1, 3, 10, 11 will get you to Kings Square in about an hour. From the town center (Kings Square), you have two options - take a minibus or walk. You can buy a day ticket for minibus (shuttle service) at the Visitors Information Center at Kings Square. It costs $7 for return ticket. The minibus leaves Ordnance Island (near Kings Square) 20 minutes and takes about 6-7 minutes to reach Tobacco Bay. If you like to walk, it will take about 20 minutes to reach Tobacco Bay beach from Kings Square. The walk is uphill. The return walk is much easier. From Kings Square, after about 40 yards or so take a right to Kings street and then left to Bridge street. You will shortly come to York street crossing. Continue straight along Government Hill Road. You will soon see Somer's Garden on your right and to your left will be Historical Society Museum. Take a break and explore these two historical places. After all it's an uphill walk. And then on top of the hill you will find the Unfinished Church. Go over the hill and keep following the road towards the ocean and you will find Tobacco Bay Beach. Update June 2017: Cruise ship passengers docked at Royal Naval Dockyard (Kings Wharf) at the west end can now avail round-trip air-conditioned bus service package on Saturdays & Sundays to visit Tobacco Bay Beach ($49 round trip per person). Bus leaves dockyard 1 hour after cruise ship disembarkation. This bus service is available until September 15. Call (441) 705-7263 or Email [email protected] for further information on the bus service. Hello, Could you please provide a walking direction from St. George ferry terminal to tobacco beach. Many thanks. Hi, from St. George's ferry dock at Penno's Wharf take Mullet Bay Road and keep walking towards east. It leads to York St. Keep walking and then take left on Government Hill road which passes by Unfinished Church and eventually leads to Barry road. Turn right and soon you will be at Tobacco bay. The total distance is about 1 mile and will take about 25 minutes. Dockyard cruise NCL now has shuttle to St. George. If we take that, how do we get to tobacco bay beach from docking at St George? Thanks. Depends on where the cruise shuttle docks in St. George. If it's at the ferry terminal, then you can take a minibus outside the ferry terminal (tickets are available at Kings Square Visitors Information Center... a short walk. You can also board the minibus at Kings Square). Of course you can also walk to Tobacco bay beach (about 25 minutes). Raj, thank you for maintaining the site and responding. You are so helpful. I have read on your site that Tobacco Bay is one of the best snorkeling beach. But I recently read on other cruise forums that a new company took over the management of the beach and started introducing motorized water sports like jet ski and even those flying jet packs. People were worried that the quietness of the beach and the snorkeling environment would be destroyed by these motorized water sports. Have you been there recently or have you heard anything about it? 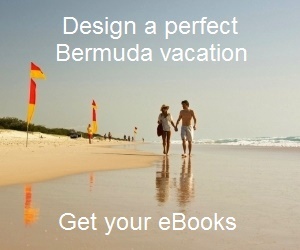 We will be in Bermuda in 2 weeks (early July). Thanks. Hi, Yes, this summer there has been a host of activities at Tobacco Bay Beach. Concessions at the beach are offering Jet Skiing and even flyboarding (flying jet packs), other than paddle boarding and snorkeling. Flyboarding seems like a major attraction here. The beach bar organizes live entertainment on the beach including DJs, Steel Pan, Bongos etc etc, and all this is attracting a lot of locals and tourists. 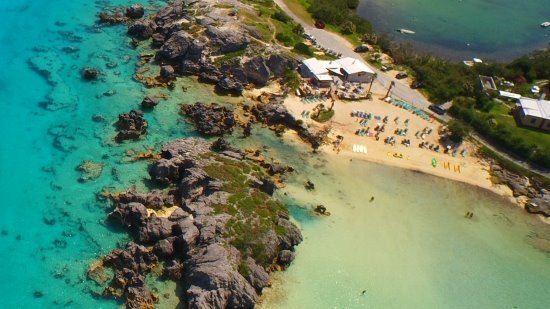 So a Snorkeler's paradise is now a fun beach, at least for this summer.